Well, it’s been a long hard week. I’ve been unbelievably busy at work every day, and have been coming home too exhausted to cook, go to the gym (any excuse!) or even to give thought to blog posts – let alone actually writing them! I’m not saying it’s been a bad week, just a completely manic one, and I really felt I needed a treat to celebrate the end of it this Friday evening. 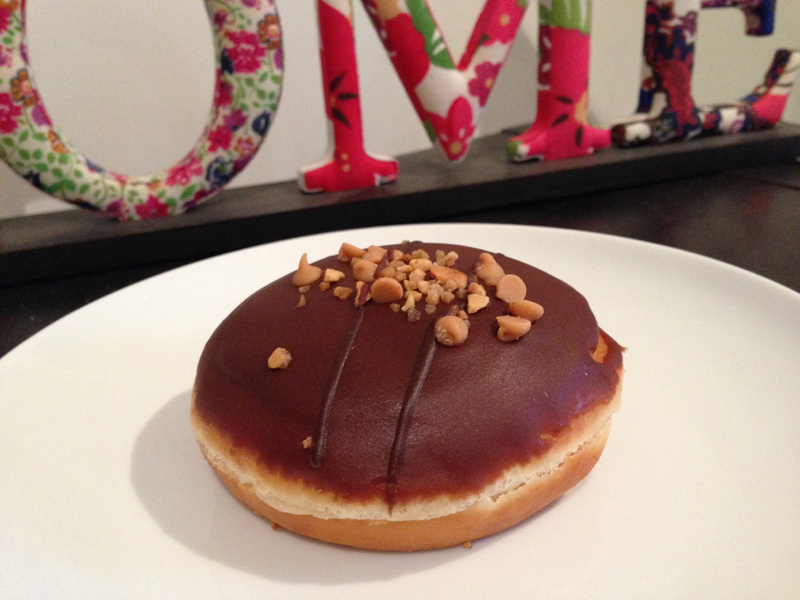 And what could be better than a Reese’s Peanut Butter Krispy Kreme doughnut! 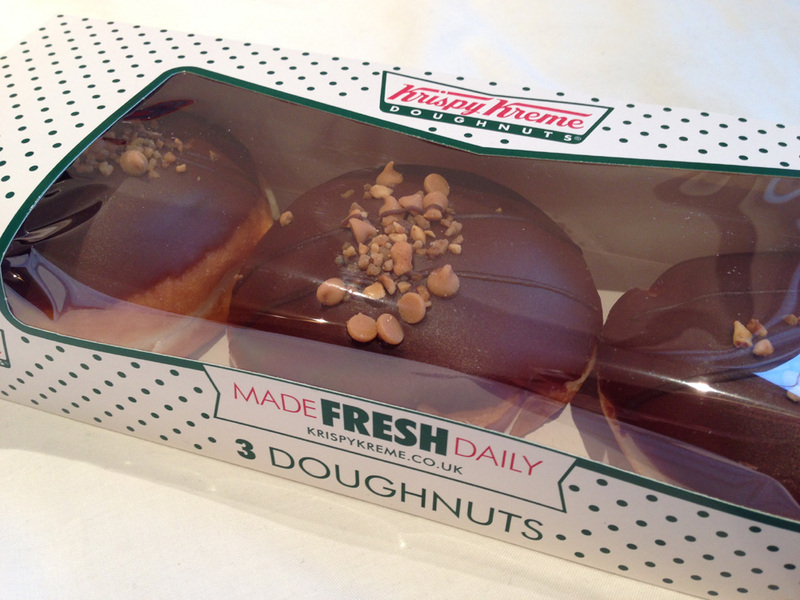 An email tempting me with this delicious Krispy Kreme treat landed in my inbox on Wednesday, and I didn’t need long to think up an excuse to try it. 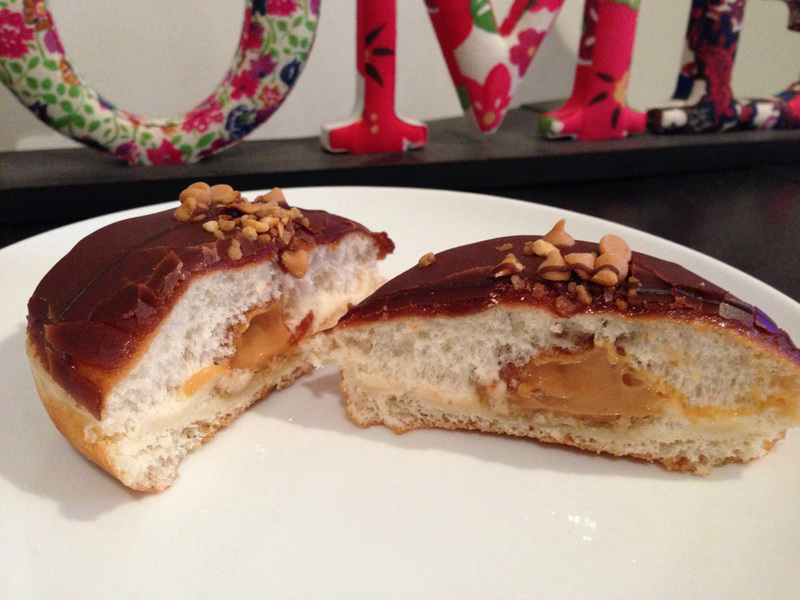 It’s blummin’ delicious too – with a gooey peanut butter filling and peanut butter drops on top. 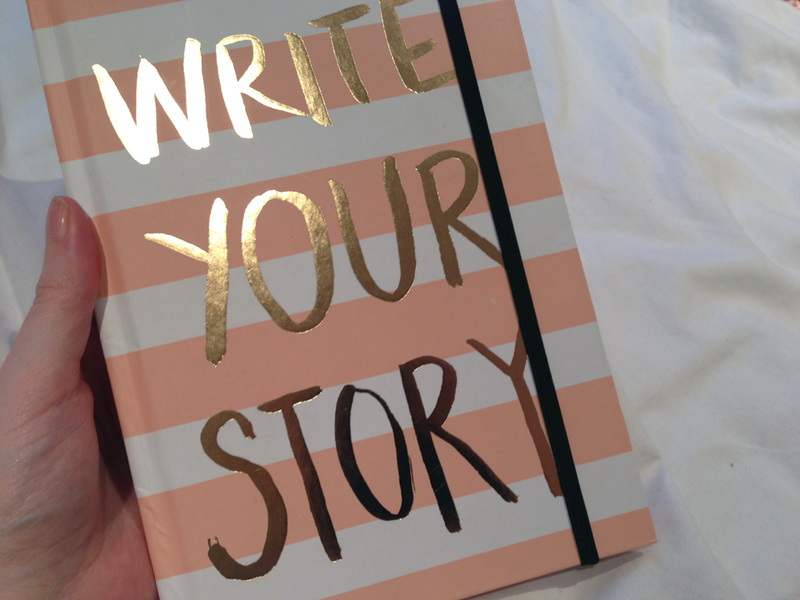 And as well as enjoying that tasty treat curled up with a cup of tea and a film tonight, I’ll also be thinking of how I’ll use my pretty new “Write your story” journal. 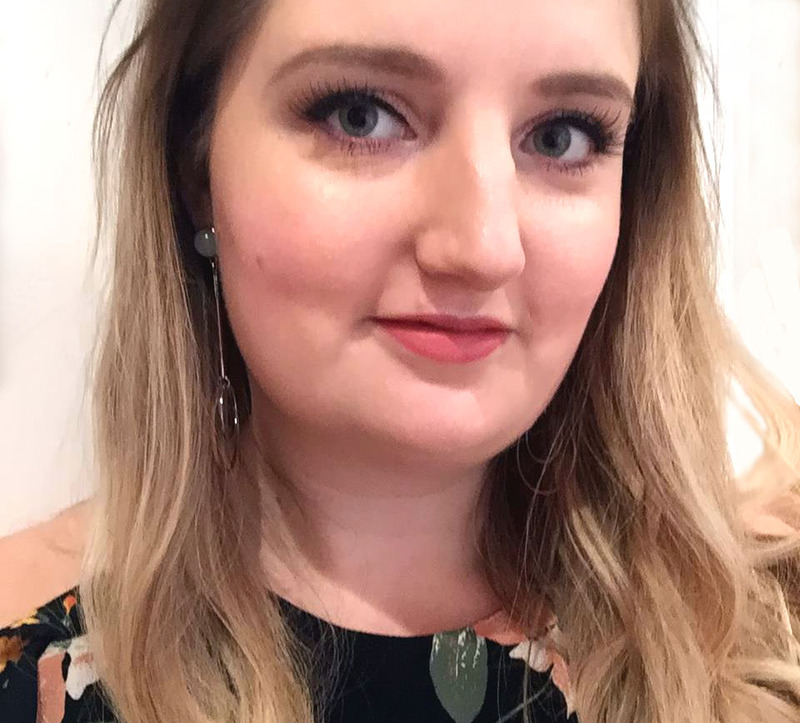 Maybe it’s time to start writing the book I’ve been planning!